Where Do Shilajit's Benefits Come From? Shilajit is a sticky, tar-like substance often appearing dark brown in color, which is highly regarded as a rejuvenating substance in Ayurveda. It is found primarily at high altitudes in the Himalayan and Tibetan mountain ranges, but has also been found in Russian and Chilean mountain ranges (Carrasco-Gallardo et al., 2012). During warm summer months, the intense heat of the sun causes shilajit to become soft, which makes it appear as if it is oozing out of rocks. However, the true origin of shilajit remains somewhat of a mystery even after decades of research. The primary theory is that shilajit is the humification product of various latex producing plants, mosses, and liverworts. This theory would explain why shilajit has such a complex chemical makeup that is similar to other humic substances such as peat. Shilajit contains over 85 individual components consisting of a mixture of minerals, humic acids, and amino acids that can potentially provide benefits to your physical and cognitive function. In order to simplify things a bit, we will only talk about the main components of shilajit which appear to have the highest biological activity. These are dibenzo-α-pyrone Chromaproteins (DBPs) and fulvic acids (FA) with DBP cores. Fulvic acid (FA) is one of the main components of shilajit. It is a humic acid created as a result of millions of microbes breaking down decaying plant matter during a process called humification. Fulvic acid is a very complex molecule and contains a variety of functional groups, including carboxylic groups; this appears to allow Fulvic Acid to easily complex with cationic substances (Schepetkin et al., 2009). Fulvic Acid's complexing ability potentially explains quite a lot of shilajit's benefits. To begin with, fulvic acid demonstrates excellent bioavailability and blood brain barrier (BBB) permeation; this allows it to act as a very effective delivery mechanism for the compounds it complexes with (Mirza et al., 2011). In the case of shilajit derived fulvic acid, it appears to complex readily with DBPs, thus it acts as a delivery mechanism for them to various parts of the body including the brain. Furthermore, the carboxylic groups in Fulvic Acid appear to strongly support the complement immune system. This system is composed of various precursor zymogens, which circulate throughout our body and are completely inactive. However our innate and adaptive immune system can activate these precursor zymogens. How does dibenzo-α-pyrone Chromaproteins Support Mitochondrial Function? Besides being a natural anti-inflammatory, fulvic acid also provides significant antioxidant benefits. However, the main antioxidant benefits in shilajit appears to be from DBPs. As we’ve discussed earlier, fulvic acid readily complexes with DBP, and by doing this transports it to various parts of the body including the brain. Most importantly, it seems to be able to get DBPs to a location most antioxidants don’t seem the reach; mitochondria. This is arguably the most important location in which you’d want to have a proper antioxidant defense system set up, because the mitochondria produce most of our cells energy currency called adenosine triphosphate (ATP). During the process of producing ATP, significant amounts of reactive oxygen species (ROS) are produced. These ROS can inflict serious oxidative damage on the mitochondria when not properly dealt with by an antioxidant defense mechanism. When this happens, we are basically cutting off the energy supply of our cells. On top of this, the more active a cell is, the greater the chance for mitochondrial dysfunction is, so this is bad news for high-energy demand neural and muscle tissue. Luckily the DBPs found in shilajit appear to be strong mitochondrial targeted antioxidants (Bhattacharayya et al., 2009). By preserving mitochondrial function, these DBPs may ultimately even elevate ATP levels in our cells! Why Buy PrimaVie Purified Shilajit Capsules and Powder? At this point you’re probably getting pretty excited about shilajit! 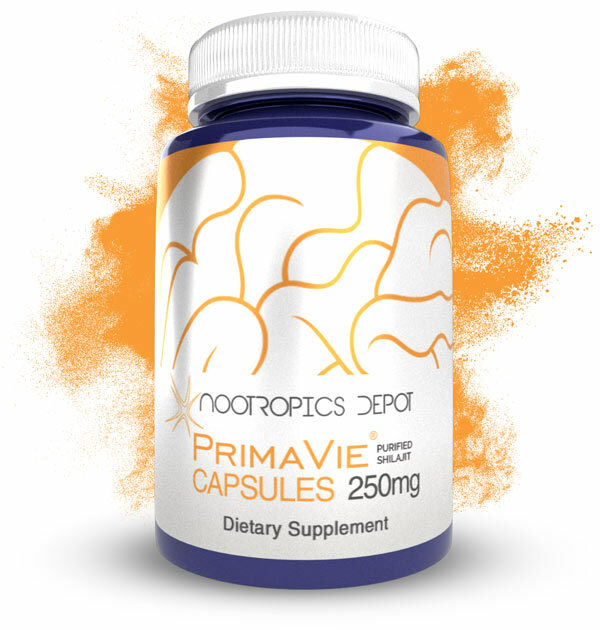 If you are, then you’re in luck, because at Nootropics Depot we offer a highly purified shilajit extract called PrimaVie Purified Shilajit, which standardizes for a high fulvic acid and DBPs content. The fact that this extract is highly purified is crucial, because as mentioned earlier, fulvic acids love to complex with cationic substances, and although this has some benefits it also has a major drawback. Most toxic heavy metals are also cationic, and thus it is not uncommon to see dangerously high levels of these heavy metals in unpurified samples of shilajit. 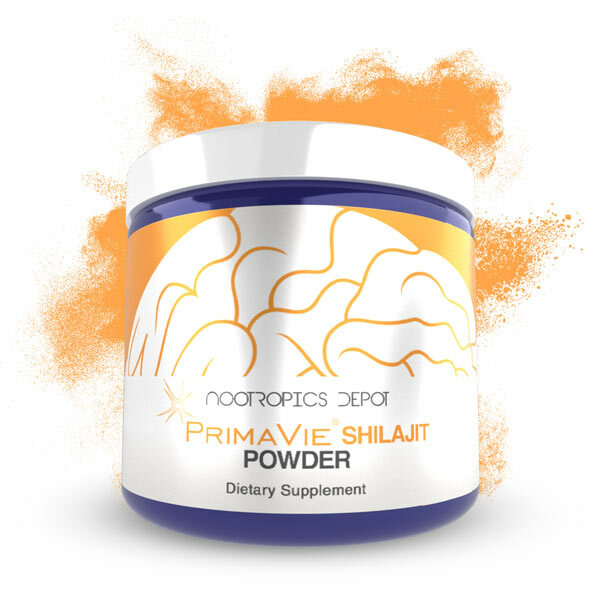 Primavie Shilajit, available from Nootropics Depot in both capsule or powder form, guarantees safe levels of heavy metals, so you can enjoy all of the benefits of shilajit without worrying about the nasty long-term side effects of heavy metal poisoning. Bhattacharayya S, Pal D, Banerjee D, et al. 2009. 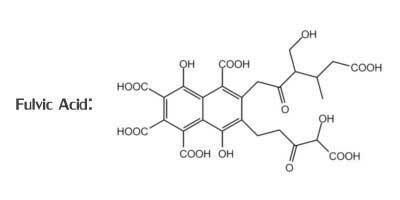 Shilajit dibenzo-a-pyrones: mitochondria targeted antioxidants. Pharmacologyonline2:690–698. Carrasco-Gallardo, C., Guzmán, L., & Maccioni, R. B. (2012). Shilajit: A Natural Phytocomplex with Potential Procognitive Activity. International Journal of Alzheimer’s Disease, 674142. Kalidindi, S. R. (n.d.). U.S. Patent No. US 20140079729 A1. Washington, DC: U.S. Patent and Trademark Office. Mirza, M. A., Ahmad, N., Agarwal, S. P., Mahmood, D., Khalid Anwer, M., & Iqbal, Z.(2011). Comparative evaluation of humic substances in oral drug delivery. Results in Pharma Sciences, 1(1), 16-26. Schepetkin, I. A., Xie, G., Jutila, M. A., & Quinn, M. T. (2009). Complement-fixing Activity of Fulvic Acid from Shilajit and Other Natural Sources. Phytotherapy Research: PTR, 23(3), 373–384. M., & Krishnamurthy, S. (2012). Shilajit attenuates behavioral symptoms of chronic fatigue syndrome by modulating the hypothalamic-pituitary-adrenal axis and mitochondrial bioenergetics in rats. Journal of Ethnopharmacology, 143(1), 91-99. Yin, H., Yang, E. J., Park, S. J., & Han, S. K. (2011). Glycine- and GABA-mimetic Actions of Shilajit on the Substantia Gelatinosa Neurons of the Trigeminal Subnucleus Caudalis in Mice. The Korean Journal of Physiology & Pharmacology: Official Journal of the Korean Physiological Society and the Korean Society of Pharmacology, 15(5), 285–289.